Happy Monday! Hope you had a great weekend. I thought I'd get this first week of fall off to a good start with a Halloween freebie for you. 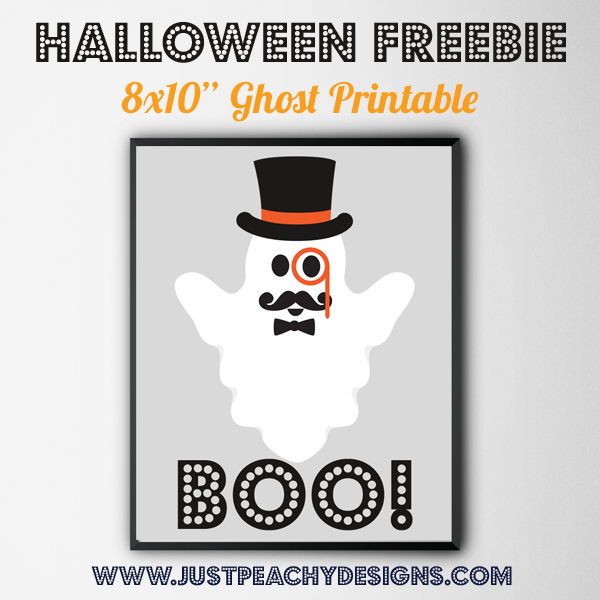 This 8x10 inch printable features an adorable hipster ghost with a monocle and top hat. Isn't he cute ? The graphic comes from - where else? - Freepik. To download this friendly ghost print, just click the image above. Happy Halloween!